How Do You Know that You are Working with the Best Realtor? This is an excellent question since there are so many REALTORS out there. Just because your brothers, cousins, gardener’s son is a real estate agent — doesn’t mean you should use them. Selling a home is often a stressful process – not only do you have to give up the place you have lived, loved and raised your family, but the process itself, if it goes wrong, can cost you thousands of dollars. For most people, a home sale is the most expensive transaction you will make in your lifetime. This means that you should choose a REALTOR carefully and to do that, you have to know what you are looking for. The best REALTORS are patient. They take the time to understand what you want out of the transaction so that they can ensure that you have a good experience throughout. The best REALTORS put your own financial well being before their own. This is called a Fiduciary Responsibility. They will make sure that your home is properly valued and if isn’t they will advise you on what you should do about it. You can sell your home in 24 hours if your price it well below market value. Good REALTORS also communicate with their clients on a regular basis. They will ask you how you prefer that they get in touch with you for updates – there are some people who like to know everything as it is happening, while there are others who prefer a brief communication at the end of the day. When you look at the best Realtors in any major city they will ask you how YOU choose to be communicated with. Do you want daily e-mails? Phone calls? Maybe you want your updates by text message. Truth is, if you call 100 real estate agents, you will usually get 95 voice mails. Before listing your home with an agent, ask them what is their availability. Do they work weekends and holidays? What is the latest they will take phone calls? Don’t be discouraged if they have some limitations — as most agents will promise you the world, and then simply not be available when you have a question. The best REALTORS do have some personal time restrictions, just as anyone would. All licensed real estate agents have gone through some level of real estate education in an effort to get their license. In most states, in addition to the real estate classes necessary to get a license, many also need post-licensing classes as well as yearly continuing education. These are the basics! NAR provides a variety of designations, which require additional training to acquire. Keep in mind, having REALTOR designations and certifications such as GRI or ABI doesn’t (in itself) means you are dealing with a better agent – what it does is shows that your REALTOR cares about honing their trade. They understand that knowledge makes them a better agent. Ask your potential agent what additional designations or certifications they have. The best REALTORS have invested heavily in real estate technology. Keeping up with the most current tech trends within the real estate industry will be very useful when marketing a home, showing a home or even basic communication. With technology playing such a large part in any real estate transaction today, your agent should have all of the necessary tools and services to market your property correctly as well as provide convenience factors such as electronic signatures. Does your REALTOR have a website? Is it simply their broker’s website or is it there own? Does it rank well in the search engines? Does it get traffic from buyers looking to purchase a home? What do you find if you Google your agent’s name? With the majority of buyers starting their real estate search online, the best REALTORS have a solid web presence with a well-designed website. They should have a page for each major city or community they represent. Here is an example of a real estate team who have dedicated pages for their main two real estate markets….Savannah and Pooler. This is their dedicated Savannah real estate page. This is their dedicated Pooler real estate page. If you are looking at a real estate agent’s website – make sure they have a dedicated page for the city or community that YOU live in. The best REALTOR will represent both buyers and sellers so that he can help his clients complete their transactions fast. This is called dual agency. Most home sellers expect their real estate agent to bring them a buyer. Dual agency simply lets the same agent who is listing your home, represent the seller too. Some feel that opens the door to an agent being unscrupulous – but remember, REALTORS have a fiduciary responsibility to you. If your realtor has clients who are looking to buy all he has to do is let them know that your home is available for sale – if it suits the needs of one of them then your sale is complete. REALTORS that end up on “both sides” of the transaction (representing both the buyer and seller) have much more control over the sale. Some REALTORS don’t show up to the closing. That should NEVER happen! If your real estate agent is scheduled for a vacation to Aruba, they still should show up at the closing. Needless to say, some agents will disagree with that stance, but the truth is…they signed up for that. In most instances, they scheduled the closing date. 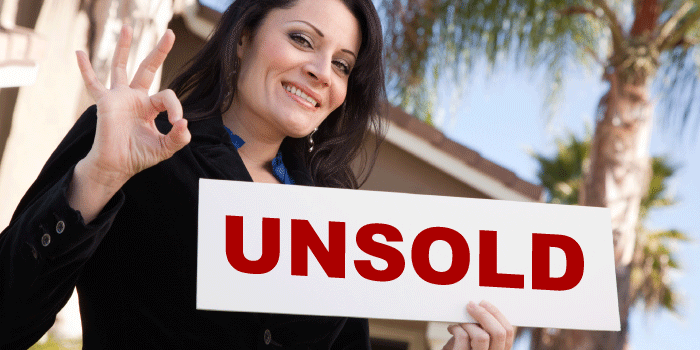 There are many things that can go wrong on closing day — your REALTOR should be there. There are many things that make up a good REALTOR. Don’t underestimate how important it is to choose your REALTOR wisely. Remember – Just because your brothers, cousins, gardener’s son is a real estate agent — doesn’t mean you should use them. Ask the right questions – Its the largest financial transaction of your life! ← Thinking of Becoming a REALTOR?